The idea for developing a lab for scholars to experience born digital media on computers for which works were originally produced was born out of Grigar’s own collection of computers and works begun at her home in the mid-1990s. She expanded the idea with the exhibit, entitled “Early Authors of Electronic Literature: The Eastgate School, Voyager Artists, and Independent Productions,” that Grigar curated for the Electronic Literature Organization 2008 Conference and Media Art Festival at WSUV in June 2008. The positive response received from the exhibit led her to search for permanent space on campus to host a lab that would provide ongoing access to electronic literature from the 1980s onward to others interested in scholarship in this area of research. Two years later in July 2010, Grigar was assigned space in WSUV’s Classroom Building (VCLS 210). ELL opened in spring 2011 with 16 of her legacy computers. Later that same semester the lab welcomed its first visitor, Anne Balsamo (UT Dallas), who had come to WSUV to keynote at the university’s Research Showcase. Following her visit, Balsamo provided administrators and Grigar with a list of recommendations, one of which suggested the continued effort to build out ELL to include post-doctoral research and grant-writing in support of research. 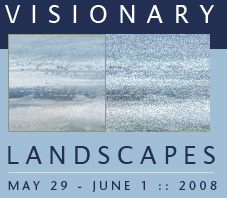 Since 2013 ELL has hosted numerous post-doctoral scholars and has served as the site of numerous research projects, including Pathfinders (Grigar and Moulthrop, 2015) and Traversals (Moulthrop and Grigar, 2017); prominent exhibits of electronic literature at the Library of Congress, International Symposium on Electronic Art, and other venues. It has been supported by grants, most notably from the National Endowment for the Humanities (2013), and supported undergraduate research projects for 25 students. One of these––Chronicles: Documenting the Articulation of Culture in Video Games (2016), produced by Madeleine Brookman––resulted in Brookman receiving the 2016 Emeritus Society Undergraduate Research Award, the 2015 CAS Summer Mini-Grant, and the 2014-5 Auvril Fellowship. Beginning 2016 ELL began to serve as the site for preserving and archiving collections belonging to the Electronic Literature Organization, Marjorie C. Luesebrink and Grigar’s own and for preparing archives for Turbulence.org and the trAce Online Writing Center for long-term hosting at the Electronic Literature Repository at Compute Canada. In 2017-2018 with funding from the Lewis E. and Stella G. Buchanan Distinguished Professorship, Grigar was able to expand ELL’s scope by hosting documentation activities, including a Wikipedia-A-Thon, live Traversals, workshops, and scholar talks. 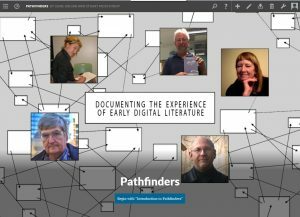 The redevelopment of the ELL Catalog, begun in summer 2017, to function as both a finding and documentation tool and ELL’s membership in The Consortium on Electronic Literature Project (CELL Project) reflect the growing role of ELL as a leading lab in the area of born digital media. 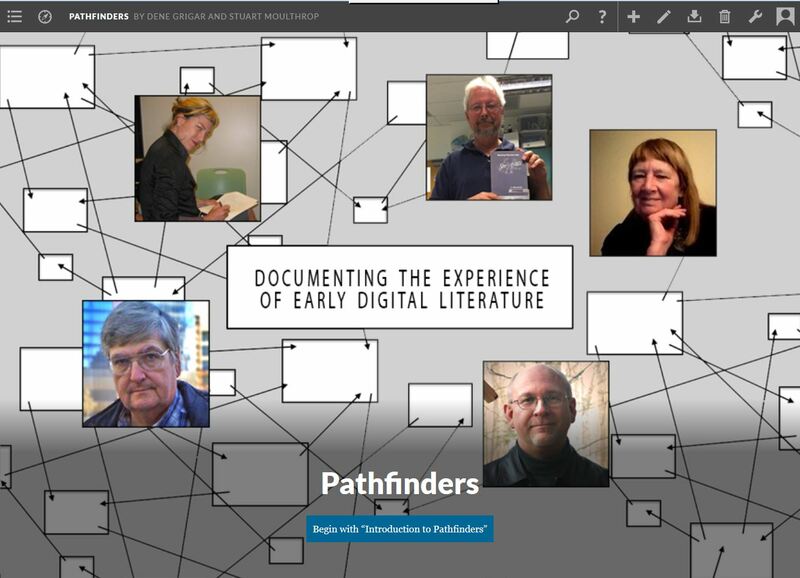 In summer 2018 ELL became the site of activity for “Building A Comprehensive Online Portal for Electronic Literature Works (COPE),” a preservation project led by the ELO and funded by the Andrew W. Mellon Foundation. Along with this work, members of the ELL Team have also reconstituted frAme, the journal published by the trAce Online Writing Centre and are now working on reconstituting the journal, Beehive.